A lot of people ask me "How'd you get into wine?" I moved here (Seattle) from Pittsburgh almost a decade ago. My boss, at my paying job, was and is very into the Northwest wine scene and he asked me if I was interested in wine. I reminded him that I was from Pittsburgh, where we drank beer, not wine. 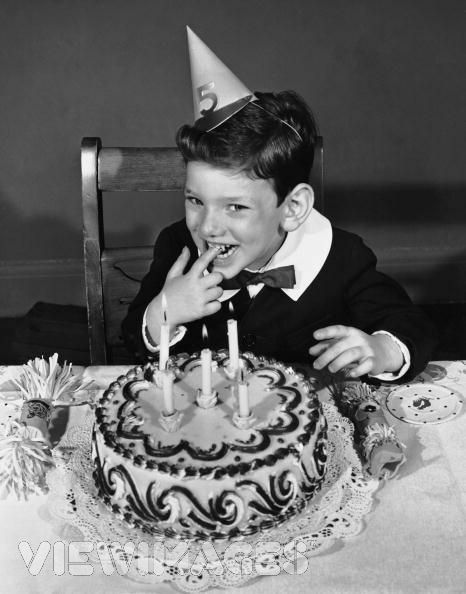 On some occasion he bought me a bottle of Washington wine, it was from Sagelands, and it was a fine bottle, a perfect entry into Washington wine. I opened it one night with dinner and remember thinking, "Okay, this is actually pretty good." At some point, I don't remember the specifics in about February of 2004, my wife (who was my girlfriend at the time) and I decided to rent a car and drive to Yakima to go wine tasting. I remember that first time driving over the Manastash Ridge on State Route 82 and thinking it was absolutely beautiful, I still do. A kid from the East Coast who never saw the high desert before, I thought it was fantastic. As we got closer to the Yakima River the banks of the river and every tree within 50 yards was completely coated in ice, it was gorgeous. We stopped at the first place that was open. Claar Cellars. We walked into the very simple tasting room, and a tiny blonde woman with prominent eye make-up came into the room from the back. What happened next was magical to me. We spent the next 90 minutes talking about wine, or more to the point, she talked and we listened. No one else came in and we had the place to ourselves. She talked about different varieties and years and how they impacted the wines we were tasting and going to taste. She had 3 different vintages of Merlot opened and that more or less sealed the deal for me. I was fascinated at the similarities and differences, the changes that wine went through. I owe that and really all of my subsequent interest and love for wine to that little winery in Zillah. A couple years later we were celebrating a friend's bachelor party, so we went rock climbing out at Vantage in the Columbia Gorge and camped out in the 20 degree weather (in March). The next day we decided to climb a bit in the morning and then drive over to Yakima to taste some wine and stay in a (cheap) motel so that we might not die of exposure (only slightly exaggerated). 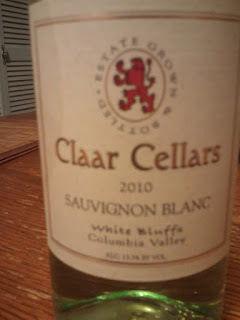 I of course suggested we stop at Claar Cellars as I had such a great experience there. When we walked in, the small blonde woman was gone. The son of the family that owned the winery was working the counter and he tasted us through the wines, and made small talk. At some point he asked what brought us out there and I explained that my friend was getting married soon. We bought a couple bottles of wine and on our way out the door he stopped my friend and handed him a brown bag. "Congratulations man" he said. It was a bottle of their most expensive wine, on him. I can tell you that whenever I drive on Route 82 and I go past that tiny tasting room just off the highway in Zillah, I stop in and buy a bottle (or more) of wine. I will do this as long as they are in business. While the Claar Cellars wines may not be the finest produced in the state, they're honest, genuine wines, well priced and made by nice people and frankly the Riesling and Sauvignon Blanc are quite to my liking. Today's Friday Find was a pleasure for me to come across in Seattle's Wine World. 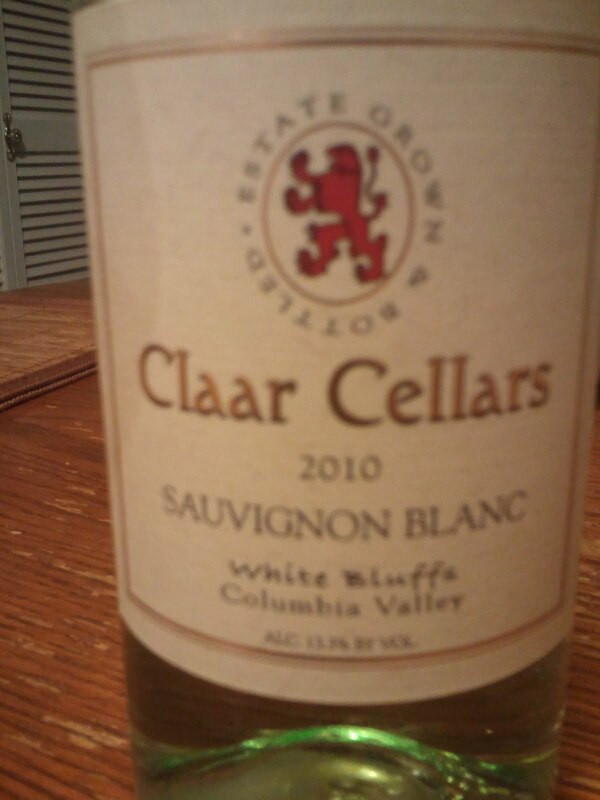 The Claar Cellars Sauvignon Blanc for $9.99. From the White Bluffs of Columbia Valley it's a fantastic bargain. Aromatics of citrus and stone and a racy acidity make this Washington Sauvignon Blanc a perfect food wine but a wine that will stand on it's own and provide enough depth to give some time and thought to it as well. If you happen to be driving by Zillah stop in and say hello to them.